You don’t have to be on holiday to enjoy good hotel dining—and thanks to the upsurge of quality boutique and high-end hotels here in Perth, ‘good’ hotel dining does indeed exist here. 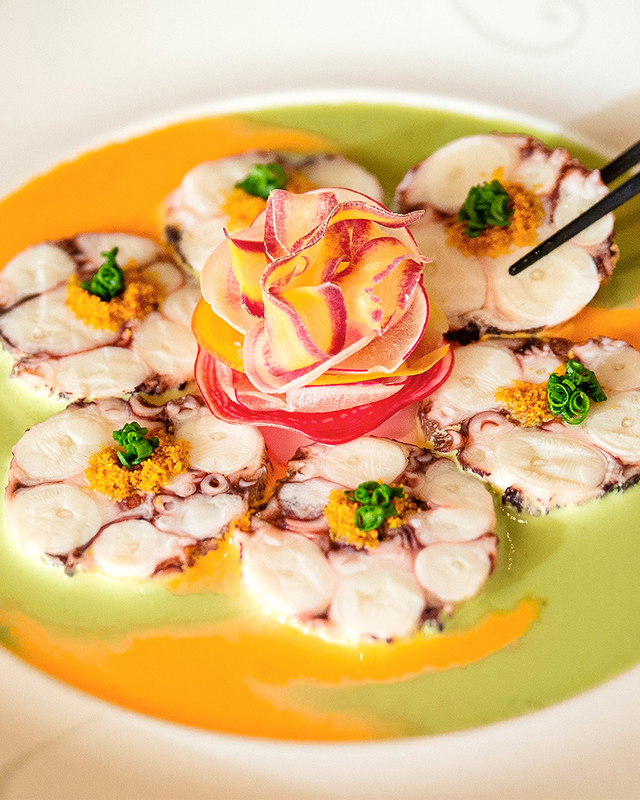 From urban eateries housed in quirky boutique lodgings to seafood feasting at beachfront hotels, there’s no shortage of delicious food to be eaten—even if you don’t have a stay booked. 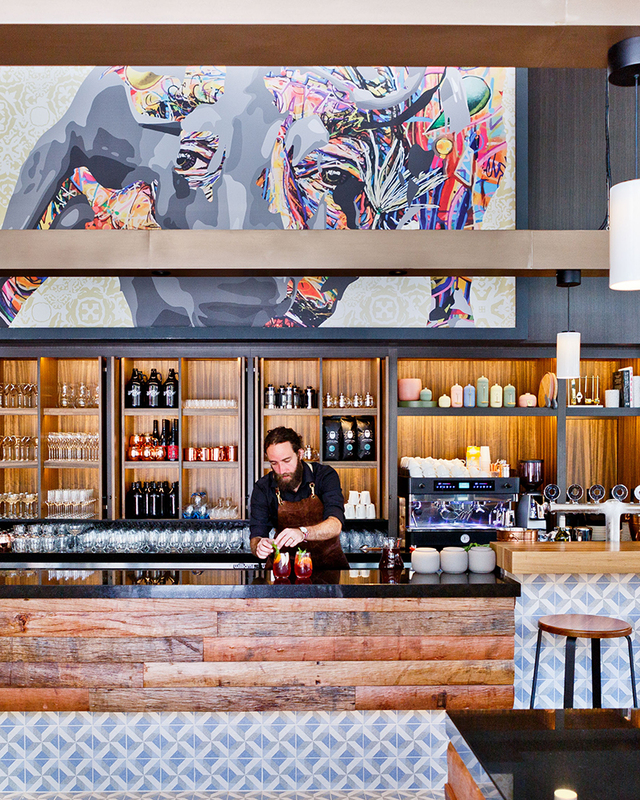 Here are Perth’s best hotel restaurants. The Perth population collectively died and went to heaven when David Thompson brought us Long Chim. Set in the converted basement of the State Buildings, you’ll enjoy the exposed brick and plumbing just as much as your chicken larp. 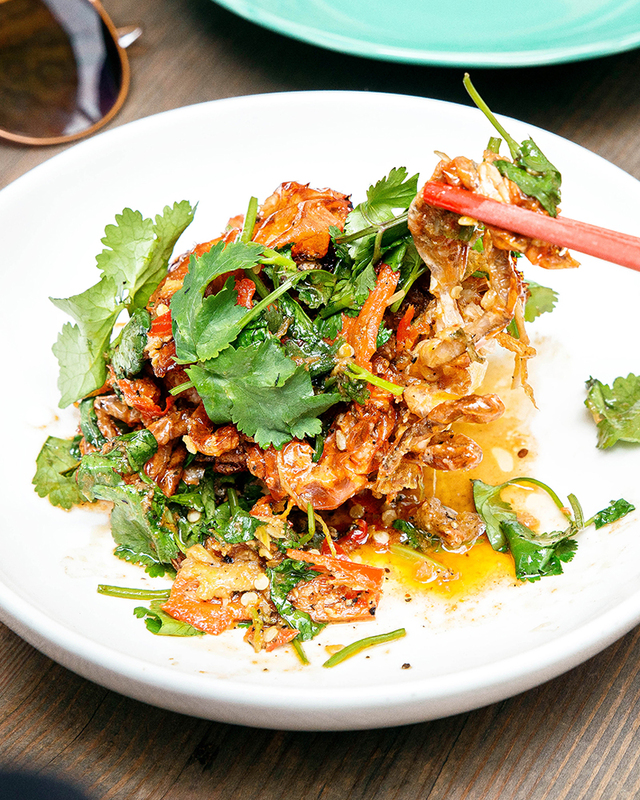 Don’t miss the papaya salad, the prawn and fish dumpling laksa or the fried banana roti for dessert. The epitome of relaxed dining has emerged in Petition Kitchen. The menu is seasonal, with an emphasis on showcasing the very best of WA’s local produce which results in one part rustic, one part quirky dishes made to share. 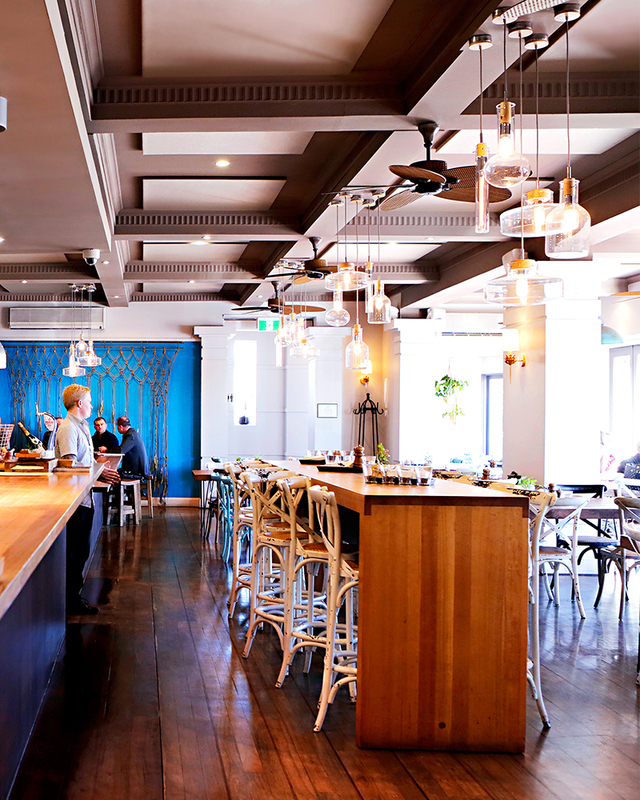 Mix with the Como’s sophisticated clientele here over breakfast, lunch or dinner. Perched at the top of Como the Treasury, Wildflower offers sublime CBD and river views, world-class service and a menu that’s simply a cut above. 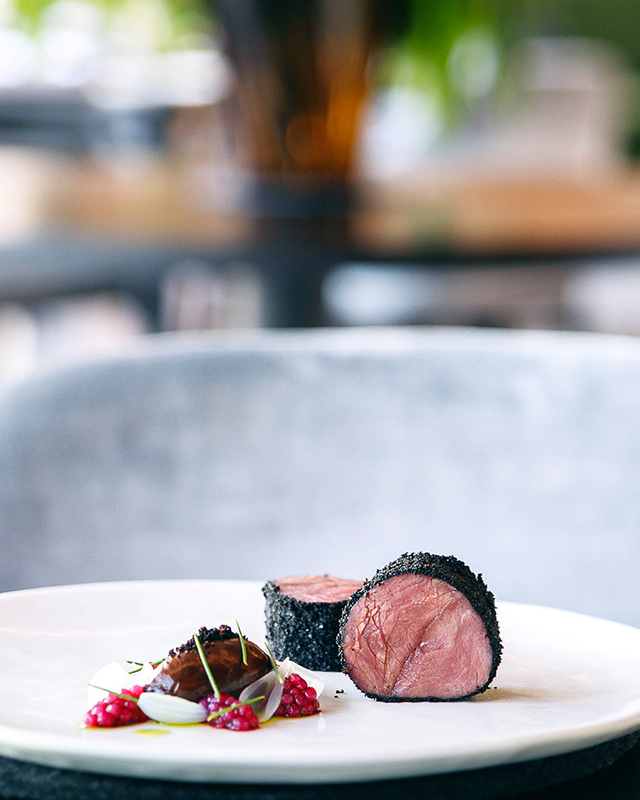 Wildflower’s menu responds to the six Noongar seasons with contemporary flair, making for a memorable dining experience that won’t just wow visitors, but locals too. Trust in the chef: get the tasting menu. 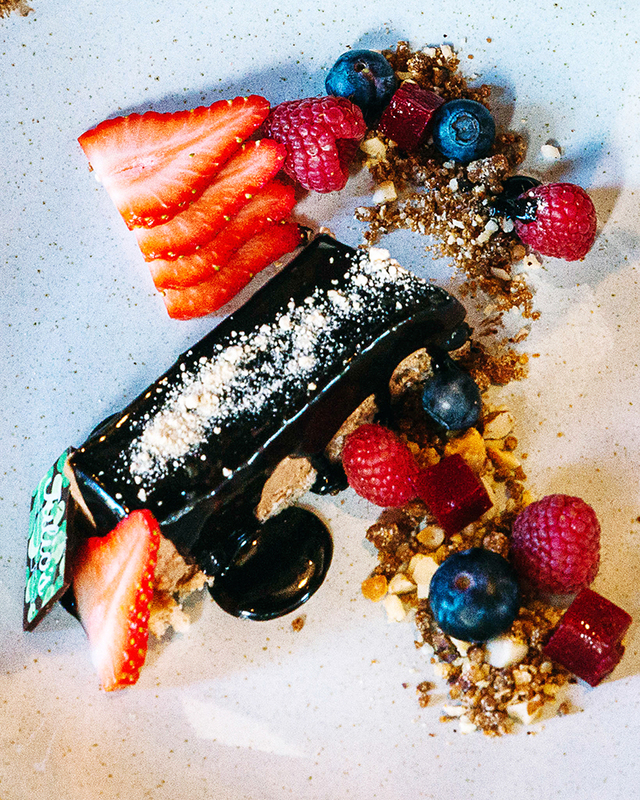 The resident eatery of Perth’s newest boutique hotel, Santini Bar & Grill is all about seasonal flavours and fresh produce. The Creative Food Director, Robert Marchetti, hails from a seaside town in Italy and upon the prospect of Santini opening in Perth, thought of the idea ‘food of the sun’. The result? Fresh seafood, wood-fire grilled pizzas—the Cacio e Pepe Clam pizza is essential eating—and rich vegetable dishes. It’s feel good food reminiscent of the Italian coastline, coupled with uniquely Australian flavours and ingredients. Whether its tapas, hearty share plates or even just a jug of sangria you’re after, Heno & Rey is the place to get it. Walking by, you can’t miss the place for the sea of cheese and charcuterie platters across the alfresco dining area—enough to get your tastebuds pinging alone. From there, enjoy everything from oysters, ceviche and white anchovies to jamon croquettes and fried duck egg. We’re salivating. Spanish sophistication finds a home in Perth at Ascua, the relaxed fine-diner at the bottom of the InterContinental on Hay. A wood-fired grill takes pride of place in Ascua’s kitchen, meaning everything all your seared and charred dreams can come true—they’re practically famous for their 40-day aged tomahawk steak. Melbourne restauranteur Guy Grossi’s first foray in the west, Garum serves up an ancient Roman-inspired menu featuring WA’s finest produce. Having made the spectacular Hibernian Hall home, Garum provides a truly memorable dining experience—whether you’re there for breakfast, lunch or dinner. 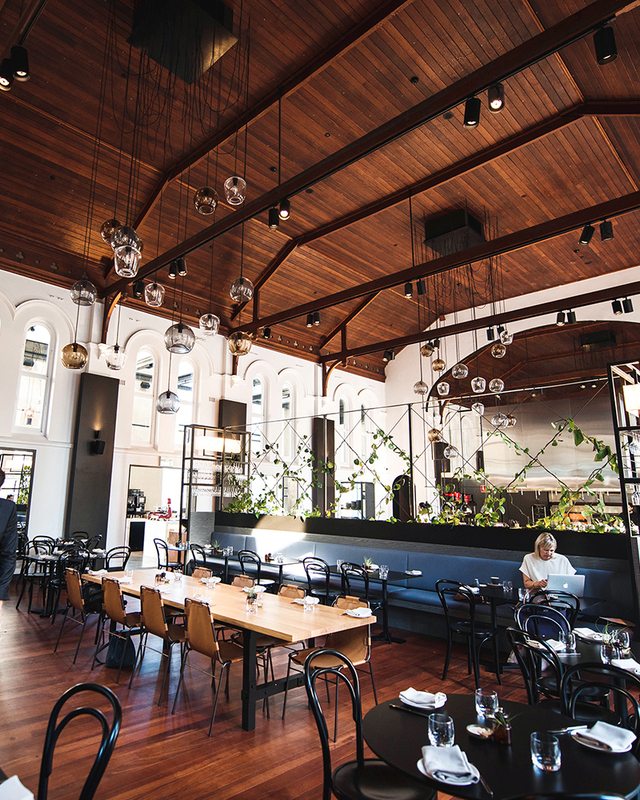 After a three-year-long hiatus for redevelopment, the grand old Melbourne Hotel reopened with its resident pub and eatery, De Baun & Co, leading the charge on the food front. While De Baun & Co is certainly a place for a drink and your favourite sports games, its contemporary fit out and solid menu offering make it far more than just your average pub. Once the residence of luxury menswear moguls, the Walsh family, the heritage-listed, rustic Italian eatery that is Julio’s is famous for having welcomed some uber famous clientele. But it should be just as well known for its good food—with Head Chef Simone Ariano (of Samson’s Paddock and Nolita excellence) at the helm, Julio’s serves up homestyle Italian that’s well-worth eating. The quality and atmosphere of the Alex extends to their restaurant, Shadow. A passion for classic European dining is reflected here in dishes like kingfish ceviche, gnocchi with tomato sugo and crab spaghettini. Don’t head back upstairs without devouring the pear tarte tatin. Perth’s newest Greek eats offering, Yefsi opened recently on the ground floor of the Attika Hotel and is already blowing people away with their insanely good yiro, patates and spanakopita. Open for breakfast, lunch and meze, the full menu boasts deliciousness like baklava pancake (!! ), saganaki and grilled squid with goats cheese, plus an ever-surprising plate of the day. 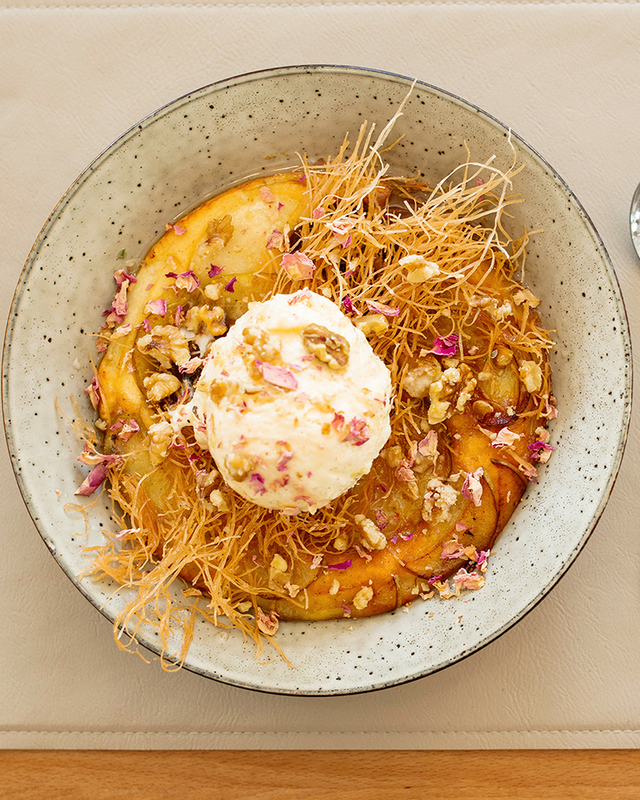 Sensational Swan River views meets seasonal fare at the Tradewinds’ not-so-average hotel eatery and bar, which features a luxurious alfresco courtyard, a hand-picked beer and wine list and an ever-evolving menu. Let’s just say the revamp that has the hotel itself on our stay-cay lists has most definitely extended to the restaurant. The obvious choice for the most reputable Japanese food going around and by far one of Perth’s most travelled-to restaurants, Nobu has to be on your Perth dining bucket list whether you’re staying at Crown or not. Grab the omakase menu that suits your hunger, sit back and devour. The yellowtail sashimi will blow your mind as it melts in your mouth. Full of old-school grandeur, Rockpool hasn’t lost its status as one of Perth’s favourite spots to celebrate, nor its penchant for extremely good steak. It’s got to be difficult to set yourself apart from the abundance of great places to eat at Crown, but Rockpool manages to stay at the forefront with their premium steak offering and extensive wine list. There aren’t many quality hotels along Perth’s enviable coastline, but the Cottesloe Beach Hotel is one of them—and their resident diner, Cott & Co Fish Bar, is only upping the ante. Beautiful Indian Ocean views, fresh seafood and a well-crafted local wine list make for very enjoyable dining – go directly for the chalkboard specials for the freshest of fresh. Enjoy your breezy lunch as you look around at all the hotel guests silently wishing they lived here. Want to turn that dinner out into a staycation? Here are the best boutique hotels in Perth.